What a blessing to be able to share such good music! So honored to have The Chicharones (Sleep of Oldominion and Josh Martinez) as guests on the show this week. They in the midst of celebrating the new single “Hi Hey Hello” which is featured on the international campaign for the new Samsung Galaxy S4 cell phone. You can pick up the new single on iTunes. Aside from leaking songs from the new Chicharones album as well as a leak from the new project by Sleep, the fellas performed a live acoustic version of the new single! Hit the link below for the podcast. 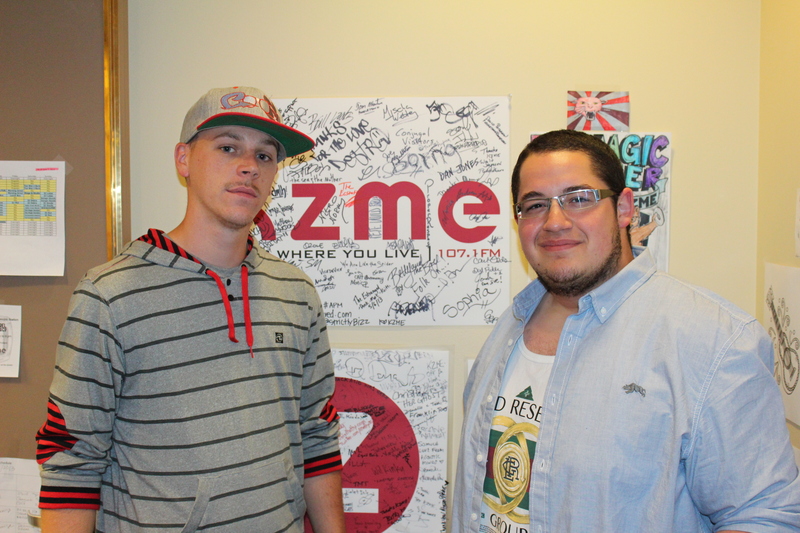 In the second hour of the show, Green Luck Media Group artists BigMo and J Burns came through to talk about the upcoming collaboration with KZME on the show at Kelly’s Olympian on July 13th. I was privileged to play new, unreleased music from both artists. Hit the link below for the podcast link! Tune in to WTTN next week for MC/Producer Tope live in studio as well as Chill Crew.